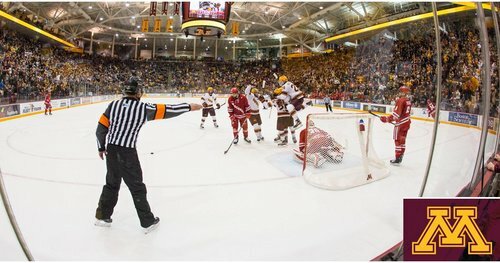 Gophers clear after a faceoff with 37.5 left. Gophers clear and that'll do it. 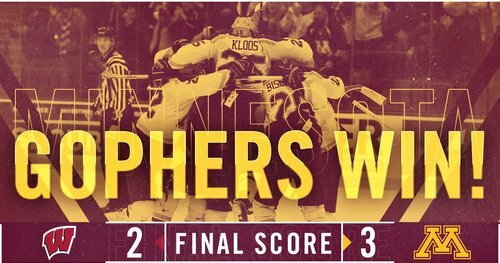 FINAL: Minnesota beats Wisconsin 3-2 to regain first place in @B1GHockey . 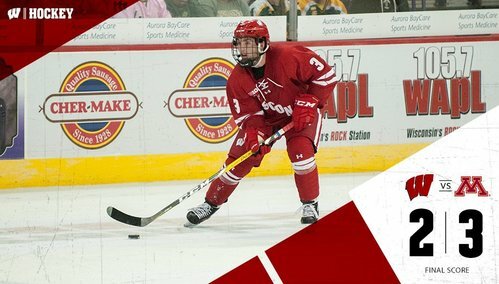 Badger men's hockey just fell 3-2 to Minnesota, but @BadgerMBB looks to tie Purdue atop the B10 tomorrow vs MSU. 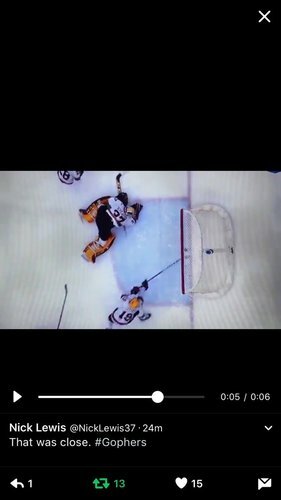 "That was pretty crazy...holy crap!" Creds to @NickLewis37 and @ToddMilewski for RTing him. More Besse: "I thought I had a little more open net but he made a nice play diving back, so I've got to give credit to him for not quitting. I asked Luke Kunin whether getting to 20 goals meant anything to him. "No. The only thing that means something is wins to me." More Granato: "I think we made them better and they made us better this weekend." It was a hard-fought game tonight. UW still sits in second place in the Big Ten, three behind the Gophers. 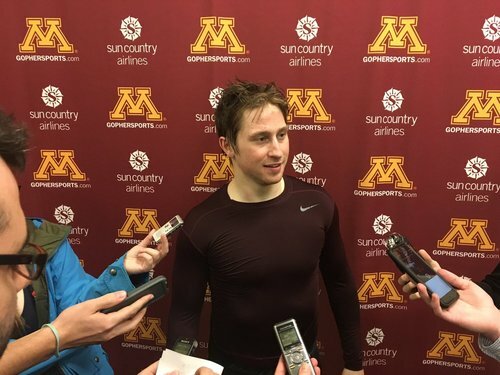 W/ GWG-1a tonight, @jkloos15 now ranks T31st in #Gophers history with Trent Klatt at 146 points (62g-84a), needs 1 to tie Steve McSwain.